It wasn’t really. The weather was beautiful and the ocean was calm. But as we motored away from Cairns a few big tourist catamarans zoomed past and our boat was rocking through their wake. 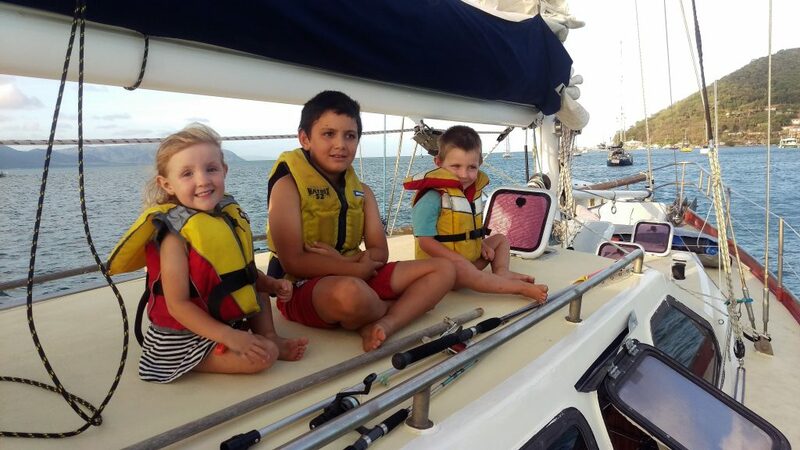 It seems that after two months of living aboard at anchor the kids have forgotten what a gentle swell feels like. It didn’t take long to settle back into our sailing rhythm though. Everyone found a spot and got busy. Drawing, lego, reading. To ease ourselves back into it we did a short half-day sail out to a small island on the Great Barrier Reef called Low Isles. As soon as we had dropped anchor we were all up on the deck watching four black-tipped reef sharks circling our boat. There were a few fish too. The water was clear and inviting, but sharks put us off the idea of diving in off the back of the boat. We spent the afternoon on the island – the kids had a swim, we did another island circumnavigation (ie, went for a walk), and visited the lighthouse. Before dinner, we spent some time chatting to a very friendly and quite large fish who was hanging around the back of our boat. We think perhaps it was used to being fed as it was unusually familiar and interested in us. Later that evening we all went outside with torches to spot the sharks and see what other night time visitors we had. A lovely way to begin our week-long trip up to the very top of Australia. The great circumnavigation of Low Isles 2017. 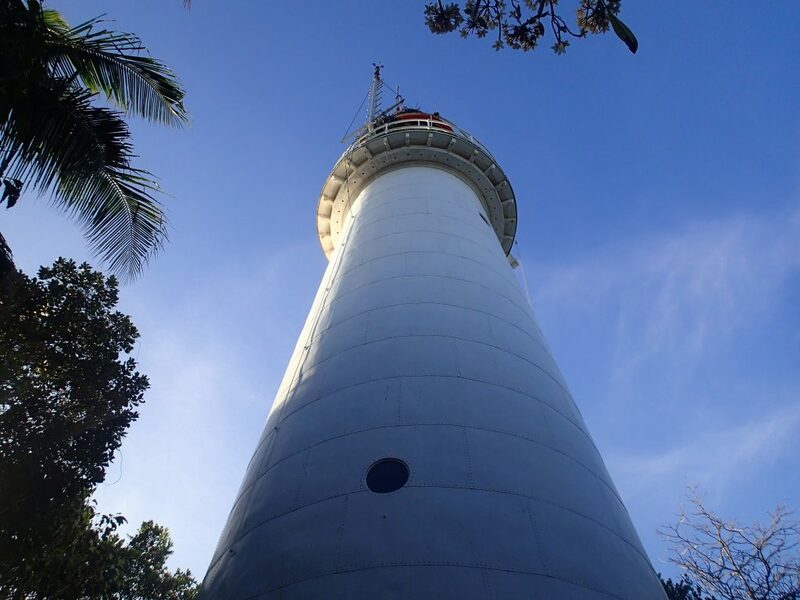 Low Isles Lighthouse was first exhibited in 1878 and has flashed it’s signal over the inner shipping route of the Great Barrier Reef ever since. Low Isles. Great Barrier Reef, Queensland. A lovely day for a sail. We headed off just after sunrise and it wasn’t long before we had the spinnaker up. It’s only the second time we’ve used it. We sat on about 7knots and sailed without the motor on nearly all day. Such a magnificent sail, we will be using it more and more over the coming weeks. As soon as we got to Cooktown the twins checked to see if their friendly fish was there, just in case it was so friendly it had followed us all the way from Low Islet. Alas, we had no visitors at Cooktown. We did, however, have a very comfortable anchorage and a beautiful view of the town. Having arrived at 5pm, we didn’t have time to go ashore though. We just had a play on the deck, cooked and ate dinner, watched the sunset, went to bed, and the next morning we were off again at sunrise. View from the cockpit. Cooktown. Another lovely day for a sail. I think I can see a pattern forming. The kids had a movie marathon today. I think they watched all four of the Transformer movies, but not in the correct order. I haven’t been feeling much seasickness so far, but I’m still wary of it as sometimes the queasiness can begin when I least expect. Today I’ve pre-emptively taken a few ginger tablets which have been great. Feeling good. 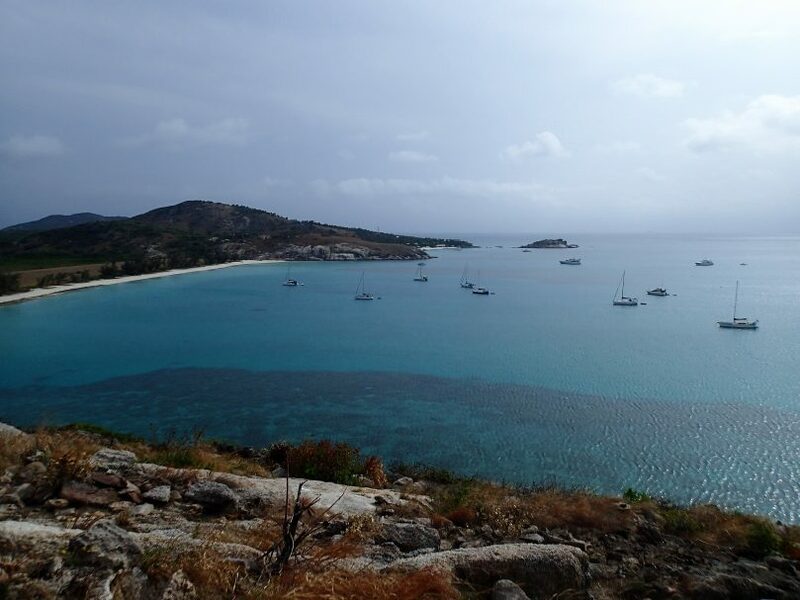 We’ve heard about Lizard Island from other sailing families and have been super keen to get here. I have to say straight up though, we didn’t see any lizards. We did spot some lizard tracks, so there is evidence of their ongoing presence on their island namesake. Today was a day for exploring and playing. We followed a track which led us through the bush to a small airstrip where we were just in time to watch three small planes landing. We weren’t expecting quite so much air traffic on such a small island, but there is a 5-star resort here who have to get their holidayers in somehow. Back on the beach, a swim and a snorkel were next. 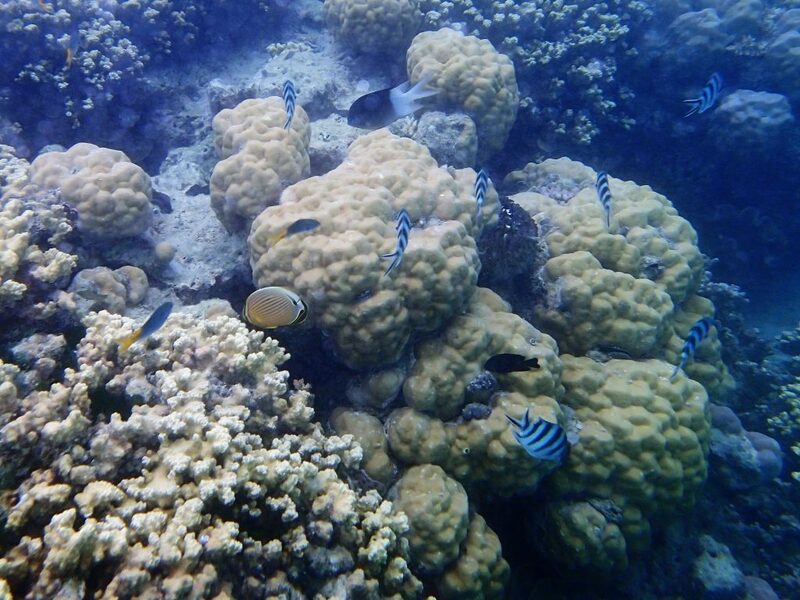 Markito and I swam out to a reef called ‘the clam garden’, so named because of the presence of giant clams. We saw coral and lots of fish and were starting to wonder about the giantness of the giant clams, having only seen average-sized clams, until we rounded a corner and there it was.. a HUGE clam. It must’ve been 1 metre long. And such beautiful purple and blue colours. Unfortunately, our camera battery died so no photos. You’ll just have to take my word for it. Lunch back on the boat gave me some time to finish a piece of work and email it off as we have internet access here. Then it was time for a steep climb up a rocky hill for some great views back over the beach, anchorage and island (see feature image). 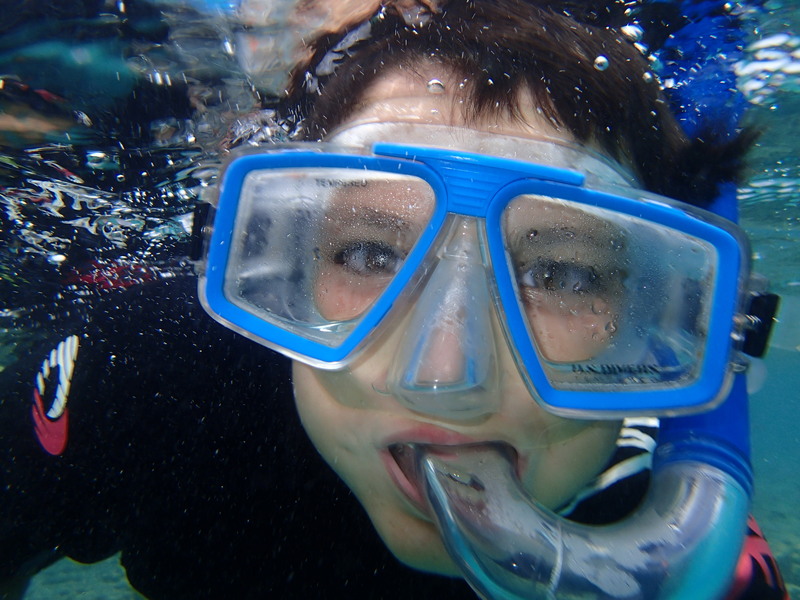 Markito snorkeling at Lizard Island. After yesterdays fun, it’s now time to settle into boat life as we won’t be getting off Red Dragonfly for a few days. 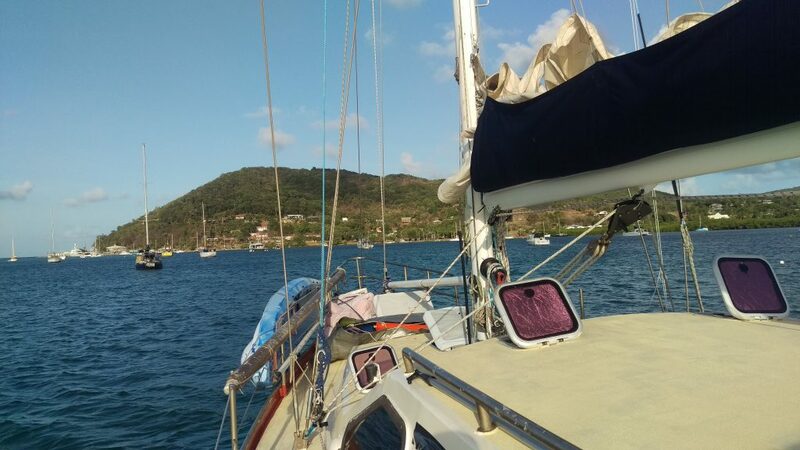 We are only doing day sails up this stretch of coast as there is so much reef, small islands, and shipping channels to navigate. Today is a long day of sailing. About 13 hours. The weather is great most of the day but the wind has dropped out so we turn the motor on to maintain our speed. In the afternoon some storm clouds develop and we watch them closely. We get a bit of rain but once we’re safely anchored the storm moves on. 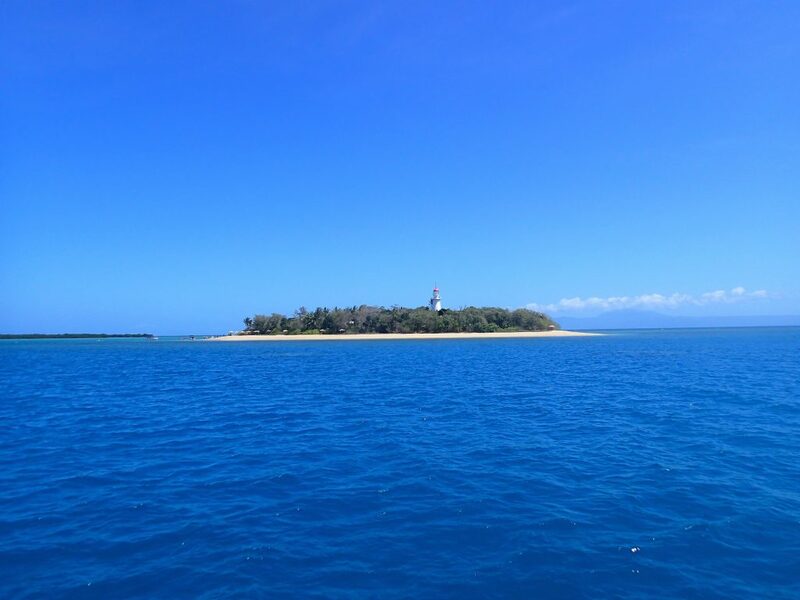 We are the only boat at Denham Island in The Flinders Group. It feels really isolated here. This is the view we spend most of the day looking at. Blue on blue. 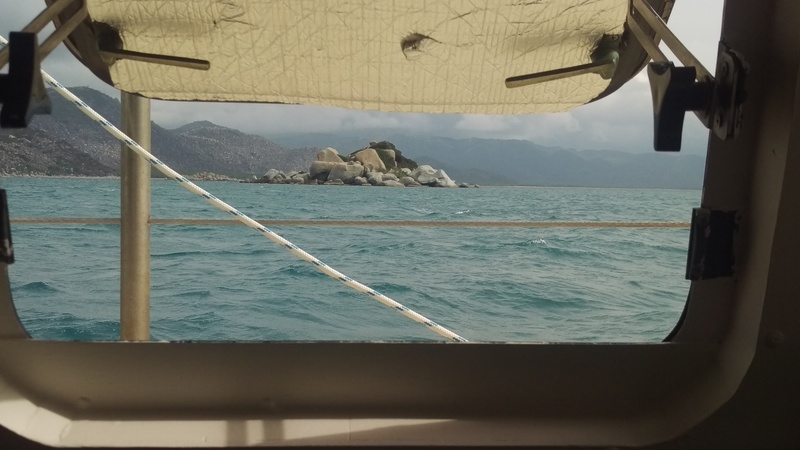 A view through the hatch as we pass Boulder Rock, coming round Cape Melville, Queensland. Another long day of sailing. Same same. We drop anchor at Night Island, sharing the spot with a big marine parks motorboat and a fishing trawler. Poor kids. I really feel for them. 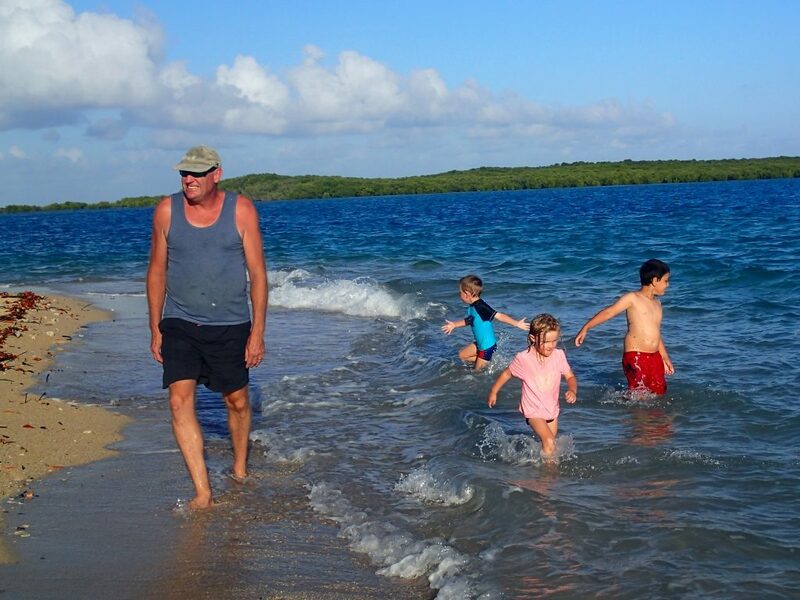 Every day we arrive at another island (“oh look, another island!”) with wide open spaces perfectly designed for kids who want to run, complete with shells to pick up, water to splash in, bush to explore and animals to look at, and yet they are stuck watching from a distance. Having said that they are coping marvelously well. There are no tantrums about not going to the beach. Reality is accepted without too much fuss. It’s just not possible today, we have to cook dinner and get to bed so we are ready for the next 5am wakeup to get moving by sunrise. I think I will remember Night Island as one of my favourite anchorages in Far Far North Queensland. The island itself is not particularly remarkable compared to all the other islands we’ve sailed past and anchored at, but this island has birds. Thousands of them. They are Torres Strait Imperial Pigeons who spend their days on the mainland and in the evening, at exactly the time we arrived, they all fly back to roost overnight on Night Island. What a magnificent site. It was mesmerizing watching the hundreds of small flocks of a dozen or so birds fly past us and arrive home. The birds fly close to the water to keep out of the wind. We’ve been motor-sailing all day today. We expected the wind to pick up in the afternoon, but it didn’t really. We had the yankee and the staysail up, along with the main, most of the morning. Then we put those away and put up the spinnaker for a few hours. We sat on about 7knots all day and traveled about 80 nautical miles over about 12 hours. Just before we got to Margaret Bay, where we are anchored now, we had to go through a tricky spot. There were a few small islands that we could either go through, or around. Because the weather was mild and the sea state calm, we decided to go through, very carefully. As we got closer to Hicks Island we spotted what looked like a few houses. Houses?!? Way out here? Our cruising guidebook tells us it’s a small resort. Incredible. We got through the really shallow spot ok. The water was down to only 0.9 metres under the keel. Eek. Thank goodness for accurate charts. We then came around the corner and find, to our surprise, another 5 boats already anchored in the bay. It’s a very nice feeling having some company after only seeing container ships all day. We are nearly there! 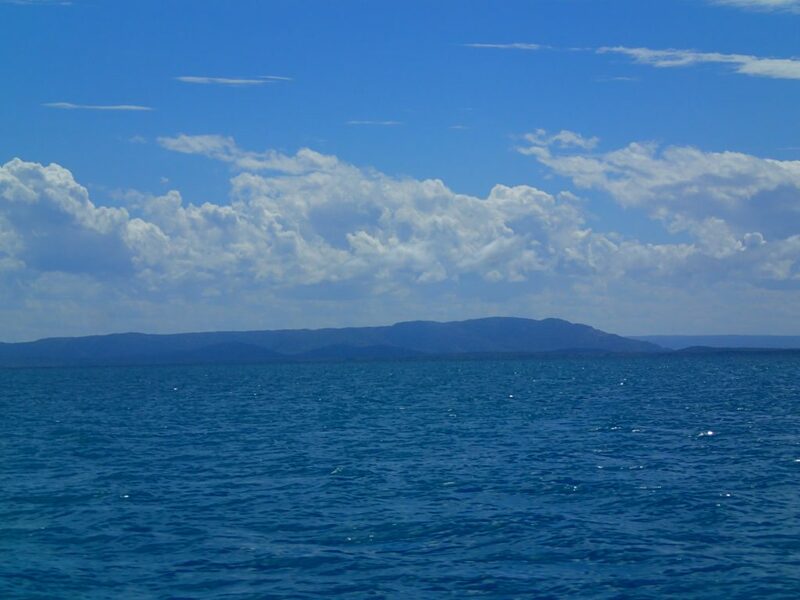 Today is our last full day of sailing – we should arrive in the Torres Strait Islands tomorrow around lunchtime. I woke up at 6am this morning when Simon started pulling up the anchor. We sleep in the V-berth at the front of the boat, right near where the anchor chain is stored! Simon has already had his coffee as I make a cup of tea and sleepily join him in the cockpit to watch and help out as we pull out of Margaret Bay. We have had a really bloody good week of sailing. The weather has been consistent and although there hasn’t been as much wind as we’d hoped, we really don’t mind motoring if it means we all feel confident and happy with our experience on the boat. Tonight we will anchor at Escape River which is apparently, according to our cruising guidebook, infested with crocodiles. There are also cultured pearl farms that we’ll have to avoid as we go up the river and find an anchorage. It’s a very cloudy, overcast day today. All my photos from today are grey. 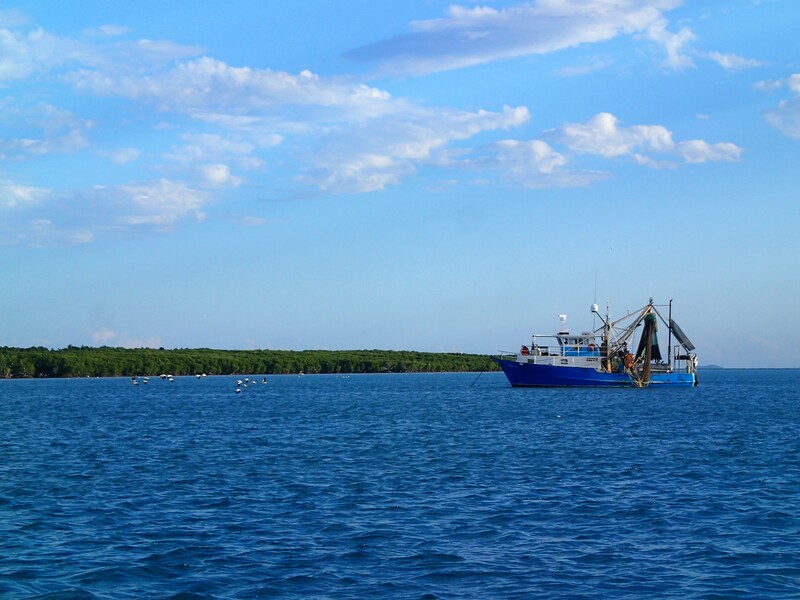 We are excited about rounding Cape York and arriving in the Torres Strait Islands tomorrow! Nearly there!